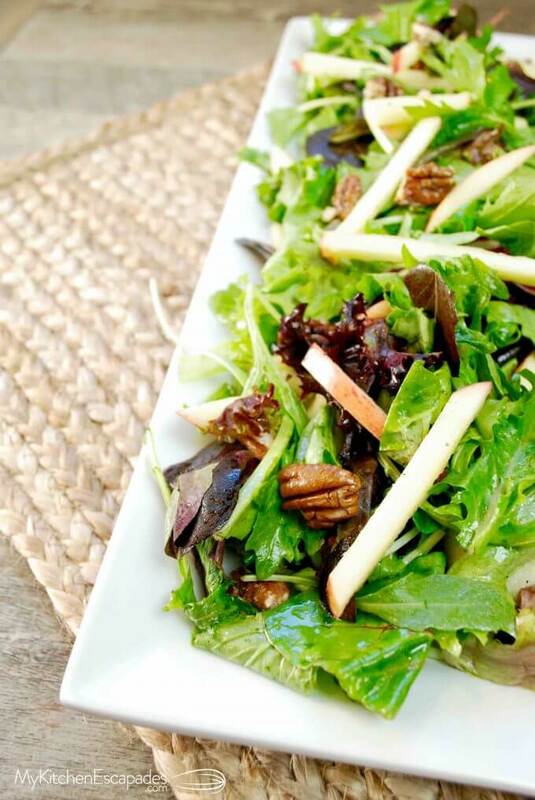 For an autumn salad, I adore this apple salad recipe with candied pecans. 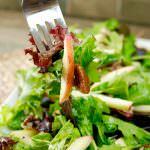 It is a light, crisp and healthy salad recipe but with all the best fall flavors in both the salad and the homemade vinaigrette. If you are going to make a salad with apples, you have to get the presentation right so check out how to chop the apples and keep them from turning brown…. I love everything about autumn. The weather. The fashion. The food. The colors. Fall is my perfect time of year in every aspect, which is probably why I am so anxious to get a jump on this season every year. If you are going to create the perfect autumn salad recipe, there has to be some of those fresh from the orchard fall apples. My favorite apples are Honeycrisp, Jazz and Fuji because they are crispy and sweet without being mealy at all. 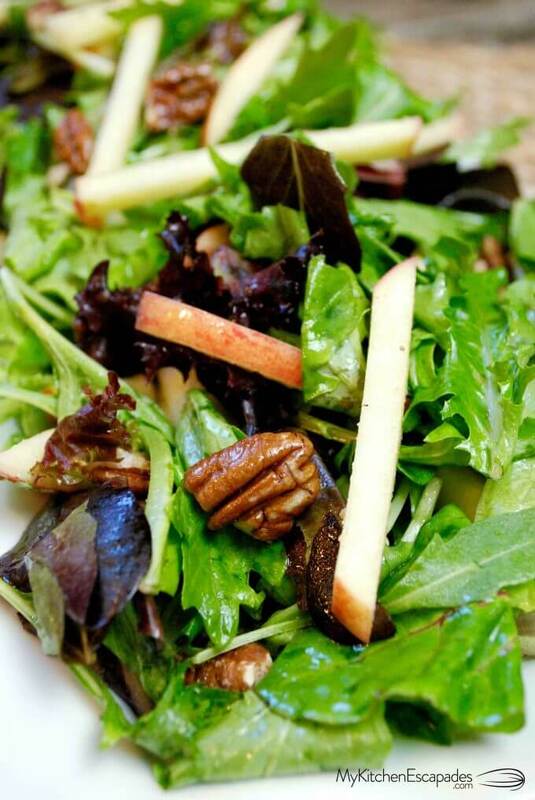 The natural pairing with apples is pecans for that perfect fall flavor so this quickly became an apple pecan salad. 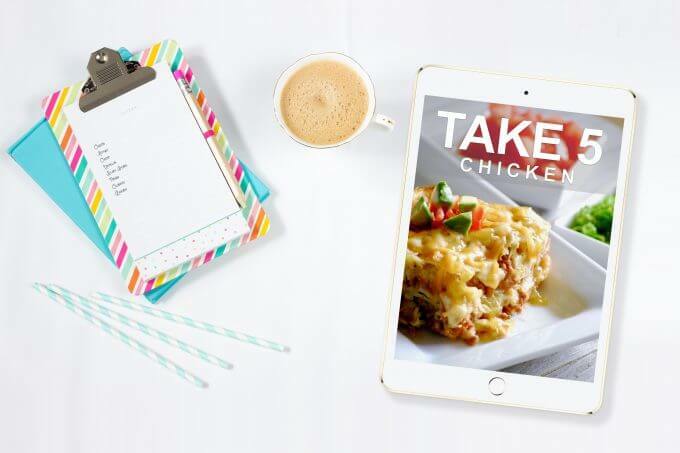 If you are looking for a bit more protein in your salad with apples and pecans, don’t be afraid to top this beauty with some cooked chicken, pork or steak. Those three proteins all work beautifully with this gorgeous autumn salad, especially since the homemade salad dressing recipe is so light and just a bit sweet. It doesn’t overwhelm any aspect of this recipe. Plus, the addition of that bit of cinnamon and cumin create just a hint of warmth in the dressing that you want in a fall recipe. 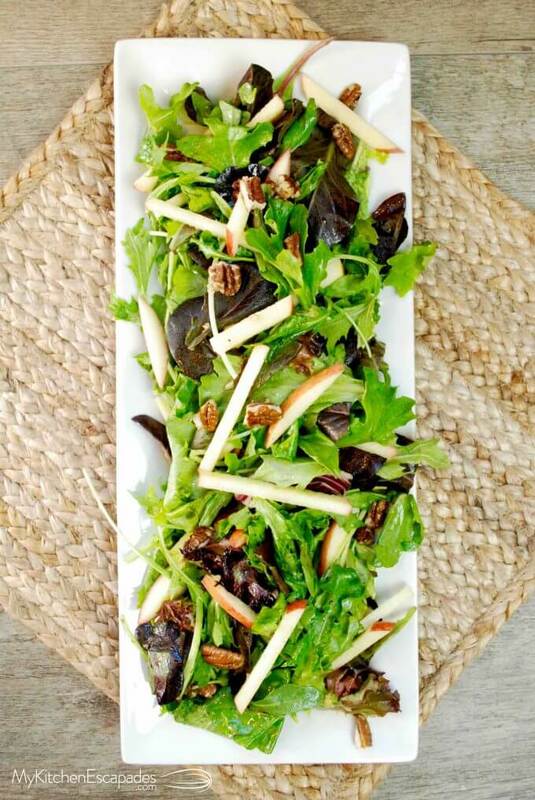 Looking to see how quickly this apple pecan salad comes together? Check out my short video to see it come together right before your eyes! As you can tell from my video, I love a good wooden salad bowl to mix up my big salads in and to toss in that amazing homemade salad dressing. Mine is actually one I found at an antiques sale years ago and usually functions as my fruit bowl on the counter, but it is just too old and gorgeous to go un-noticed any longer. 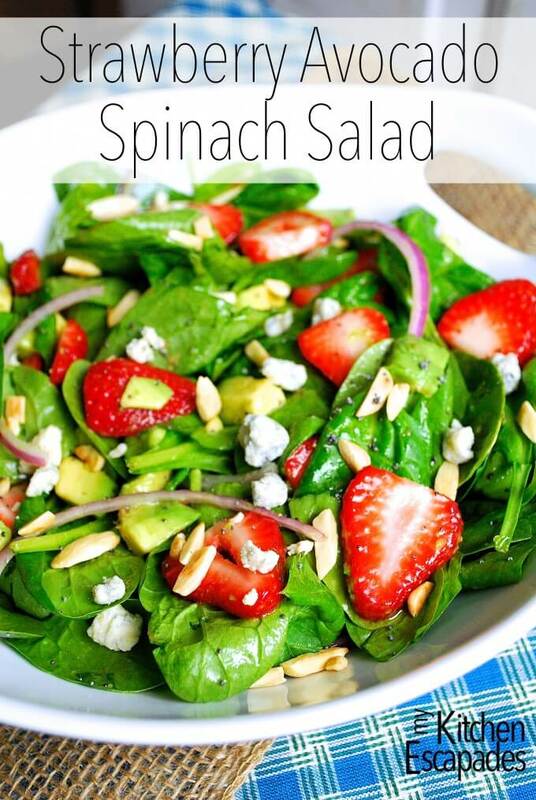 If you love this apple pecan salad, then be sure you jump over and print out the recipe for my favorite Strawberry Avocado Spinach Salad before you forget! 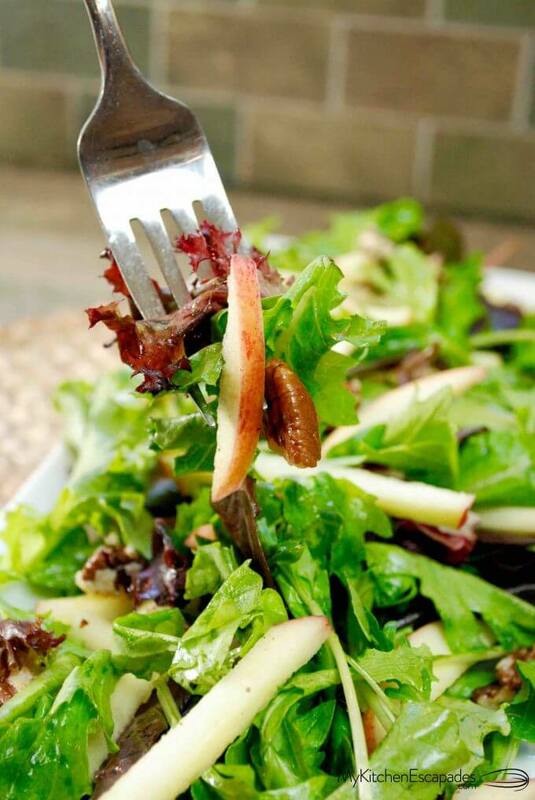 Healthy autumn salad recipe loaded with crisp apples and crunchy pecans, plus a light homemade salad dressing. Slice your apples into thin julienned pieces. 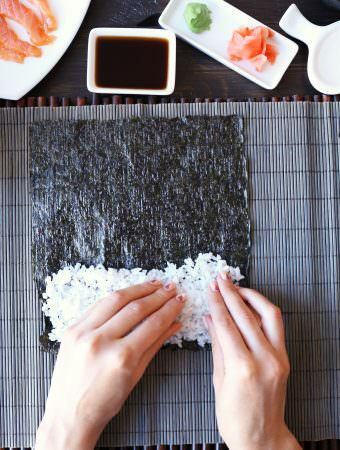 Scatter them over the top of your spring mix. Heat a small skillet over high heat then add the pecans. Toast them for a couple minutes before sprinkling the sugar over the top. Use a wooden spoon and mix the sugar and pecans together, letting the sugar melt and coat the pecans. 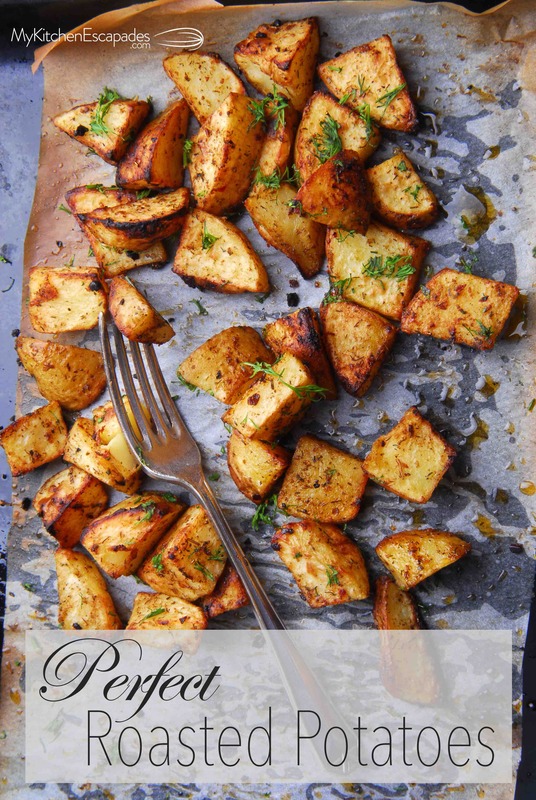 Remove from the heat and allow them to cool before sprinkling them over the salad. In a medium bowl, whisk together all the dressing ingredients except the olive oil. Whisk vigorously as you slowly stream in the olive oil and let it emulsify into the vinegar. 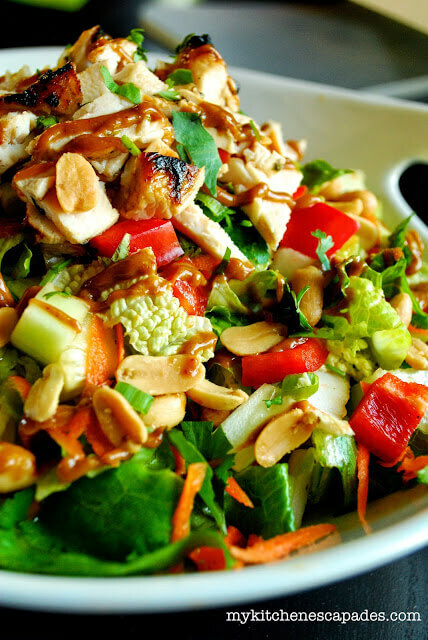 Drizzle the dressing over the salad and toss before serving. If you won’t eat the whole salad, just dress as much as you will eat in that meal. Is there something to substitute for the agave nectar? Is it on the sugar isle? Hi Debbie! You can find agave by honey in the supermarket. You can also substitute honey for the agave but the honey has a strong flavor, which is why I used the agave instead. How do you keep the apples from turning brown? 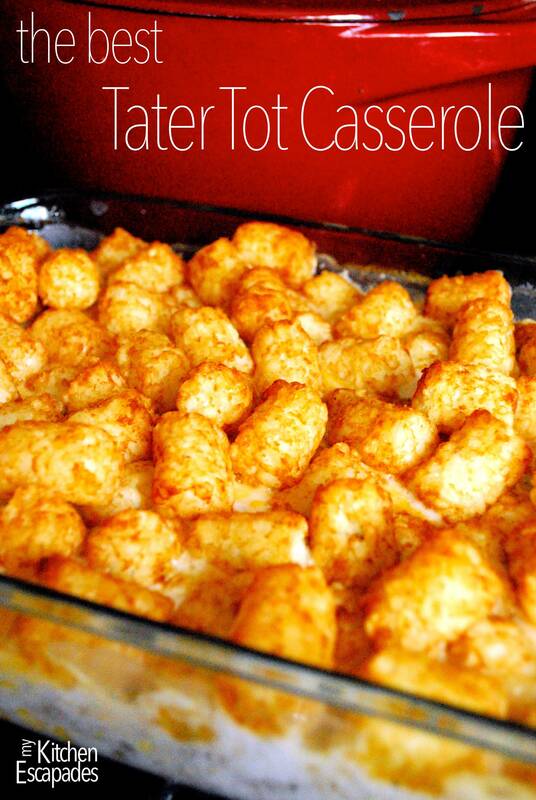 I’d like to make this for a club meeting of 10 people but don’t want to wait until the last minute to add the apples. Also, how many does this serve as a side ? Hi Nanci! As a side, this will easily feed 8 people. To keep your apples from turning brown, cut them up as needed for the recipe and then let them soak for about 3-4 minutes in cereal bowl of cold water with about 1/2 tsp of salt in it. It won’t turn your apples salty, but will keep them from turning brown for a few hours.